Special rate of US$199/night available until March 28, 2018, includes complimentary high speed internet access in sleeping rooms. As of March 8, there are still rooms available; if the online hotel system reflects that there are no rooms, please call them directly to check - 800-782-4414. NOTE: The hotel requires a 1 night deposit at the time of reservation which will be charged to the credit card immediately. The deposit is fully refundable any time up to 5 days before arrival date. - Unlimited DVD rentals from DVDNow. 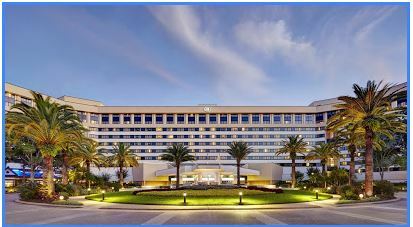 The hotel is located within easy walking distance of the new Disney Springs entertainment area, an exciting mix of over 150 shopping, dining, and entertainment venues, many of which cater to adult tastes. In addition, the hotel offers complimentary shuttle service to Disney Springs and Disney World. development courses – which it may post on the SCHC web site and social media. Individuals will not be identified in these photographs. If you have any concerns or seek to opt out of having your image or likeness included please contact [email protected]. The final agenda will be available on the SCHC meeting App. We apologize for any disappointment or inconvenience. 8:50-9:30 What's New with the Hazard Communication Standard? Mark N. Duvall, Beveridge & Diamond, P.C. Safety data sheet (SDS) development is challenging for manufacturers, suppliers and distributors of hazardous chemicals. While all countries/regions that have adopted the UN GHS classification system conform to the 16 section format, most adopters have added unique requirements per their own hazard communication regulations. This forum will provide an opportunity to discuss best practices and exchange ideas about how to produce compliant SDS documents while using a global viewpoint. Confidential business information (CBI) is critical for businesses to maintain market advantage in commerce. However, right-to-know regulations and initiatives for workers, consumers, health care providers and regulators put pressure on companies to disclose more and more information. Managing and tracking CBI regulations and disclosures is difficult, especially for companies in global markets. This forum will discuss some of challenges of managing CBI. California's Proposition 65 is a longstanding regulation that requires manufacturers and retailers to provide warning labels on products containing chemicals that could pose carcinogenic and reproductive risks above a safe level (called a safe harbor level). Recent changes to the law will require manufacturers to disclose the specific chemicals associated with the toxic effects on the label. This forum will discuss some of the implications of this increased disclosure requirement, as well as strategies that compliance professionals can use to minimize legal and business risk. D. GHS Around the World: What's New? While the adoption of GHS is well integrated into our daily practices, there are always new developments. This Forum session will discuss the on-going implementation of GHS around the world, including developments in Asia Pacific, South/Latin America, Canada and other regions/countries. We will also discuss strategies for tracking updates, and making compliant GHS classifications, GHS SDSs, and GHS labels. Any other challenges attendees face are also welcome to be brought to the floor! Review our committees and plan to attend a committee meeting! Dr. Gertrude-Emilia Costin, Institute for In Vitro Sciences, Inc.
Ron Pearson, Environmental Health & Safety, Inc.